This made-in-Australia globetrotting show is truly quite legendary, selling out in places like Sydney Opera House, Raffles Singapore and London’s West End. In this, its 20th birthday year of touring, it returns to Hunter Valley Resort – but be warned: it’ll sell out here too, so early booking is essential! Chaos greets audiences as soon as they walk through the door. In this fully immersive experience, the audience become diners in the infamous ‘Faulty’ restaurant, served a 3-course meal by Basil, Sybil and Manuel. Expect lashings of laughter, bowls full of spontaneity and as much audience participation as individual audience members want. And with 70% of the show improvised, no two performances are ever the same. 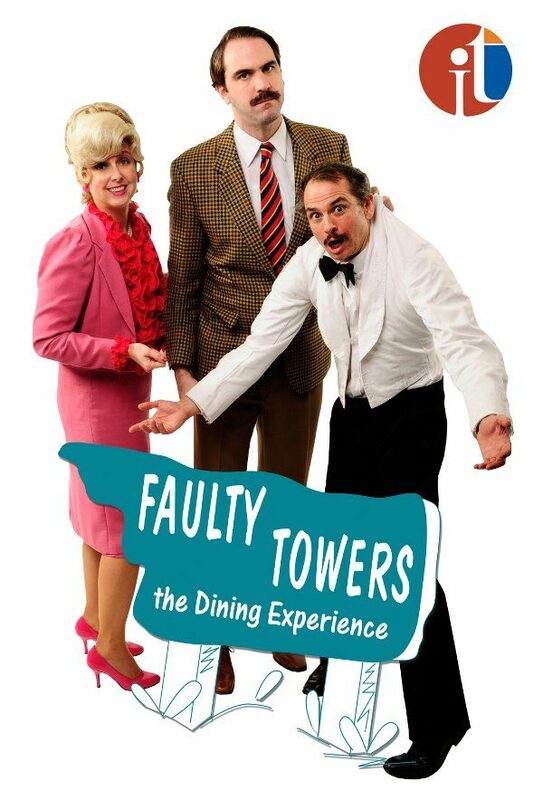 Born in Brisbane in April 1997, Faulty Towers The Dining Experience is a worldwide hit, appearing in around 20 countries. Highlights of 2017 include a string of return visits to Fringe Festivals in Perth, Adelaide, Melbourne and Edinburgh, and tours in Europe, Scandinavia, Asia, Australia and the Caribbean. With an ongoing residency, too, in the heart of London’s theatre land, it’s clear that Faulty Towers The Dining Experience is the most successful interactive comedy show of its kind. Ten teams of cast now tour the world virtually non-stop. Doors 7:00pm. Show starts 7:30pm. $ 94.00 pp (includes $2.20 booking fee) – all tickets include a 3-course meal and 2-hour interactive show.